hd00:10The breath of spring in the guise of airiness and harmony.A bright red poppy, attracts bees. Attractive, bright, red color.In the sunlight, a beautiful creation. 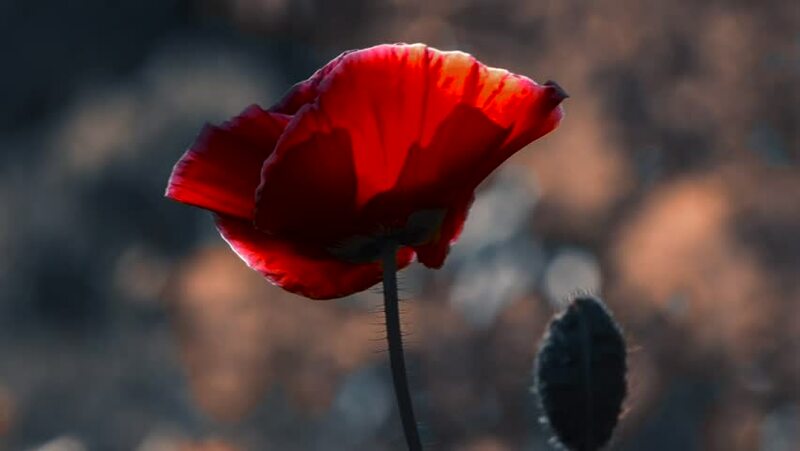 hd00:10Single red vibrant color poppy flower blowing, fluttering, swaying in the wind. 1080p full hd slow motion video.